I only really needed two words before I was itching to get my hands on this book: Night Witches. 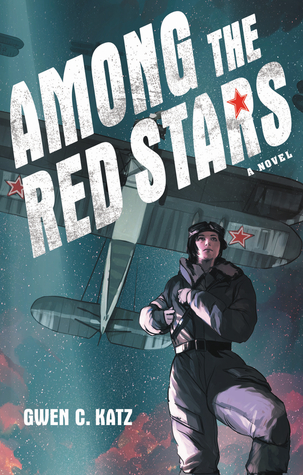 The story follows the true-to-life unit of all-female Russian bomber pilots during WWII. According to the author’s notes, only the POV characters and their immediate family are wholly fictional; the rest of the characters are based upon historical figures. Though the book is primarily concerned with Russia’s involvement in WWII, it also touches on a variety of thorny issues, such as one character’s brush with hyper-suspicious Russian government. It was unflinching in its depictions of the variety of faults and evils in the Russian government while balancing that with Valka’s deep love of her homeland and desire to protect her home. She had a wonderful, strongly distinctive voice to carry the book and relay the extraordinary events. The only thing, really, that interrupted my enjoyment was the surprise epistolary format. The bulk of the pages are given over to Valka and her childhood friend-turned-crush Pasha writing letters to each other: Valka from her aviation unit and Pasha from the infantry unit he’s been drafted into. Now, I don’t like epistolary format anyway, so I’m biased, but I don’t think the book really used the format to effect. The letters were primarily used to summarize large swaths of time and huge plot events like entire units moving or awards being handed out or characters being injured, whereas the straight-narration portions were used for small, reflective character moments. That…feels a bit backwards to me. But like I said, I’m biased, maybe others will like it just fine.